Lollapalooza, is about to return to Chicago. The 2019 festival has Ariana Grande and Childish Gambino for its headliners. Other artists on the bill for Grant Park in downtown Chicago will be Lil Wayne, 21 Savage, Meek Mill, Janelle Monae, Lil Wayne, 6lack, Smino, J.I.D., Lil Baby, Gunna and more. 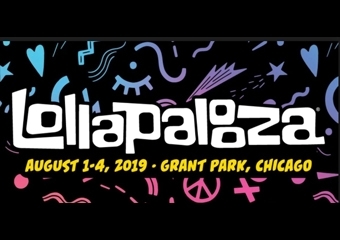 Lollapalooza partnered with PAWS Chicago to announce the 2019 line-up and launched a merch line that will benefit the animal shelter. The four-day run of performances will happen on August 1-4, 2019. Get excited!!! !